New Frontier Animal Medical Center has voluntarily sought accreditation by the American Animal Hospital Association (AAHA) since 1996. 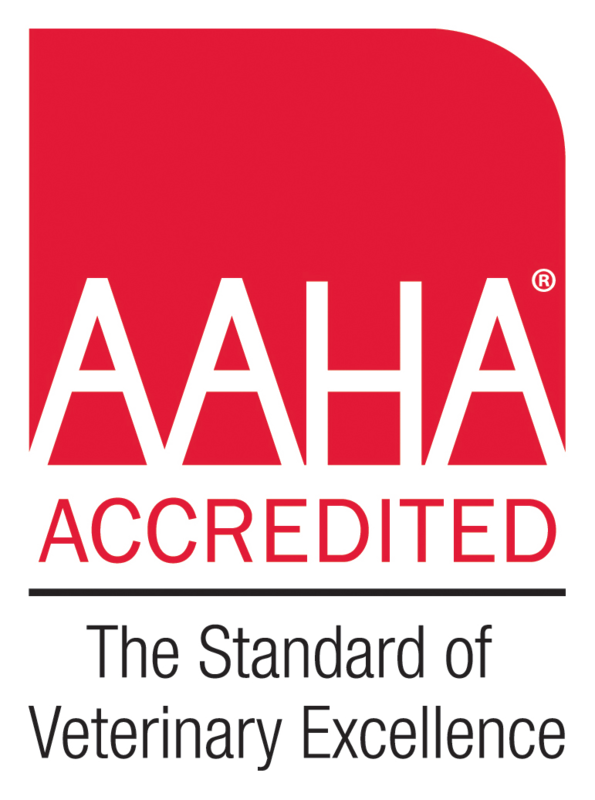 In order to be AAHA accredited, we regularly have our practice evaluated on 900 standards including anesthesia, cleanliness, dentistry, emergency care, patient care, records keeping, and surgery (just to name a few). This means that you can be sure we are doing everything we can to provide your pet with the best possible care. In recognition of our commitment to AAHA standards and our dedication to providing excellent medicine to our patients, AAHA awarded New Frontier Animal Medical Center with second place as the 2014 AAHA accredited Hospital of the Year. This is an honor that not only reflects our belief in providing best medicine, but also serves as a catalyst to continue to offer the best service possible to all our clients and patients! We pride ourselves on providing the best medical care for your pets and incorporating you, the owner, into our veterinary family. You can expect exceptional service from every phone call to every visit.